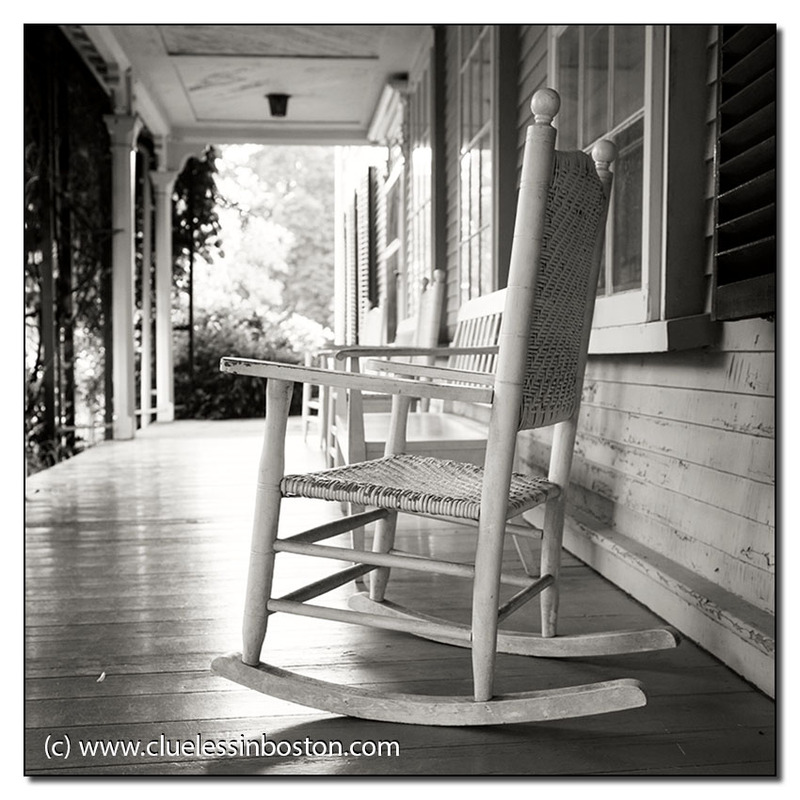 Porch, Adams Mansion, Quincy, Mass. Home of two US Presidents, John Adams and his son John Quincy Adams. I like this one. Is the house like a museum now? I, too, would like to see this one printed. It takes me to a kinder, gentler time. I would love to be sitting there enjoying that porch. love the angle and the monochrome and the composition. Wonderful perspective, amazing light and love the soft colour tones. Looks like the cover of a book, such a beautiful image! Very romantic! Love the polish of the wood, the textures, and the angle. The rocking chair gives it all motion, and the setting is timeless. Very nice. I like this, the place and the way you composed it, and also in b/w. I love those rockers. They used to be called Kennedy Rockers. I have two on my own porch. Walking around with a camera is like walking a dog or pushing a baby stroller. It gives you license to strike up conversations with people. I can't help it if some are beautiful women!